PhysioCarrier adapts to all climates and situations thanks to its foldable cooling vent. 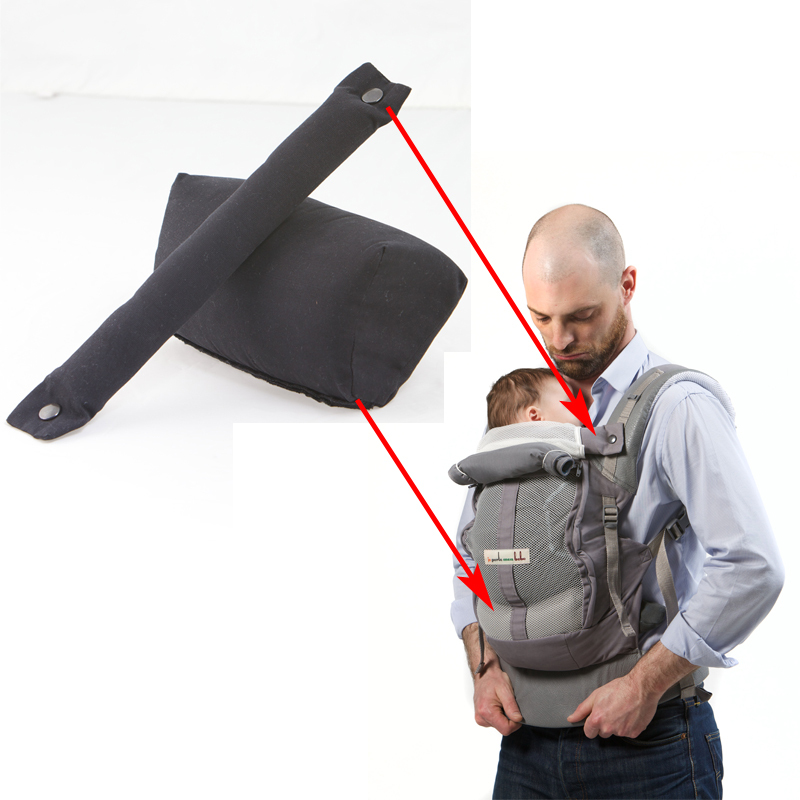 It also allows to monitor baby’s position in the carrier and ensure physiological posture. The rear mirror is useful to watch baby while carried on your back. The abundant padding on the suspenders and side straps and possibility to cross suspenders provide a unique comfort. 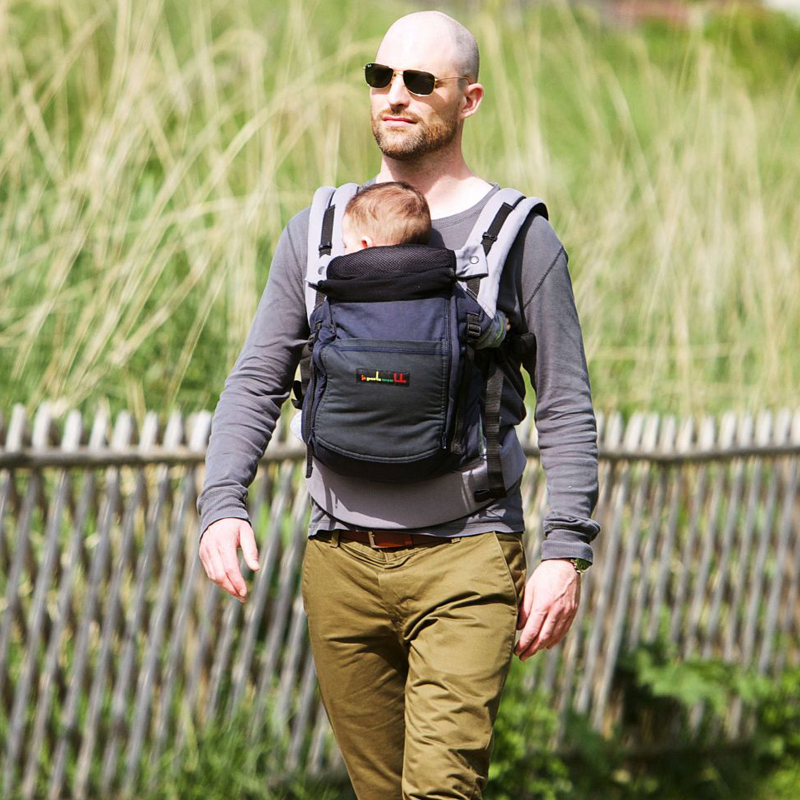 With the optional removable booster and the padded collar, you can carry newborn respecting his physiology. You can also carry an older curious baby on the back with the booster, he will be able to watch over your shoulder and won’t have his view blocked by your back. The side straps allows precise adjustment according baby’s age. It also give support to the bended knees and help to better tilt the pelvis to provide Baby with a wide and comfortable seat. Test it & love it. 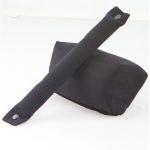 JPMBB Booster for PhysioCarrier Black | . 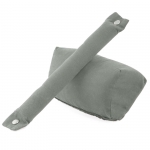 JPMBB Booster for PhysioCarrier Eléphant ACC43 | .